In the patented Schimmel Konzert Concept utilised in the Concert series, the well-established and ideal construction concepts for the large Konzert grand piano K 280, have been consistently integrated into the smaller models and, where possible, with identical construction. This enables pianists to enjoy the benefits of the outstanding touch and tonal characteristics of a large Koncert grand even when performing on smaller models. This concept and the Schimmel family of sound is unique worldwide. Every piano is brought up to A-440 Concert Pitch. Pin block is tested for weakness and tuning stability. The piano harp is cleaned, inspected and checked for cracks, splitting and pitting. Piano Keys are removed, cleaned along with the key bed and are re-installed, leveled, lubricated and balanced. Sound Board checked for rattling ribs, openings, crown loss, cracks and cleaned. Strings are checked for strength, stability and replaced if warranted. The outer cabinet is cleaned, detailed and depending on instrument re conditioned. Pedals and string dampers are checked for accuracy and adjusted if needed. Hammers are inspected, reshaped or replaced if needed. Piano bridge on sound board is inspected for splitting, erosion and integrity. All Pre-Owned pianos come with a 5 year 100% trade up policy. A piano is a mechanically complicated musical instrument with thousands of moving parts that need to be regulated and calibrated. If a pre-owned piano is not up to our standards we dispose of them. Only someone with experience tuning and repairing pianos can tell you for sure if a piano only needs to be tuned. 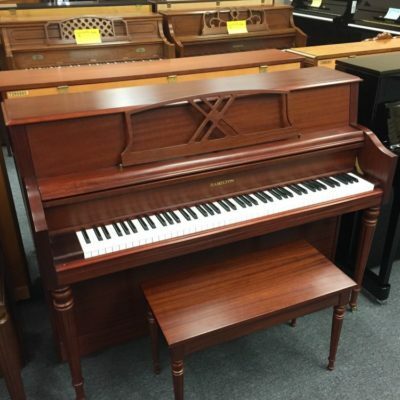 Don’t take the risk of moving a piano into your home that should have been put out to pasture. 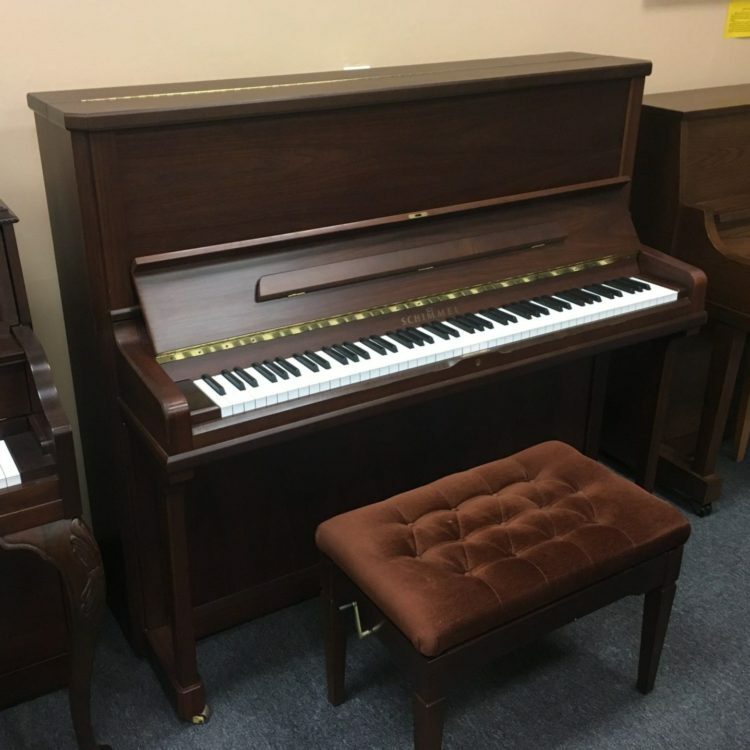 For questions about used pianos please call us at (732) 462-4730 and a specialist will be happy to answer your questions.